In 1936, Kiichiro Toyoda was granted a license to build cars and trucks in Japan, but the company’s name would not exactly reflect the family name. The number of strokes required to write the name “Toyoda” in Japanese is eight—which in Japanese culture is considered suggestive of wanting to increase prosperity. The company name would be “Toyota” because it was easier to say, imparted a sense of speed, and required only seven strokes to write. 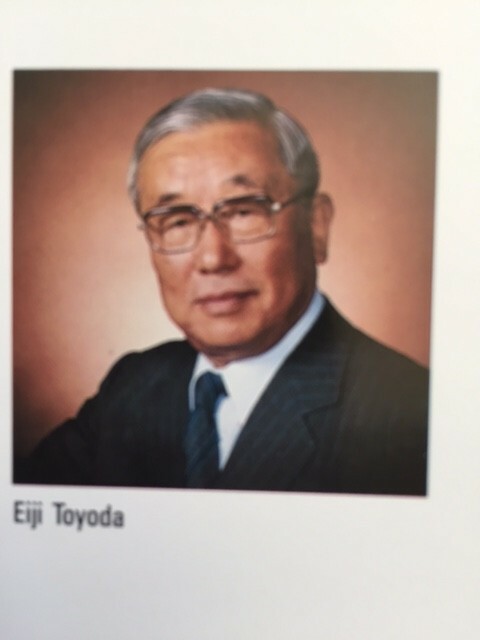 Eiji Toyoda was a cousin of Kiichiro Toyoda, the founder of Toyota Motor Corporation. Eiji lived with the Kiichiro family, becoming like an older brother to his son, Shoichiro, who was twelve years younger. Eiji Toyoda went to work for the company in 1937. 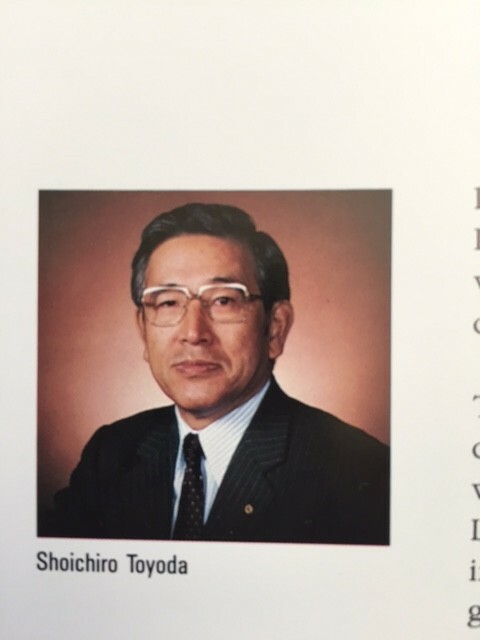 Shoichiro graduated from college, earned his doctorate in engineering, and started to work at Toyota in 1952. At this time Kiichiro Toyoda, the founder of the company, died. It was a devastating loss to Eiji, Shoichiro, and the company. The responsibility of running Toyota suddenly became the challenge of these two young men. In 1983, over 30 years later, Toyota was approaching it’s the 50-year anniversary. The company had prospered and grown, establishing a reputation for quality, dependability, and reliability. It was time for Toyota to make the “finest car ever built.” The car Eiji and Dr. Shoichiro Toyoda envisioned building was code-named “Flagship” (F1). Toyota dominated the high-end, luxury car market in Japan with the Toyota Century. It had a 5.0-liter V-12 engine, a traditional design, with soft velvety seats and doilies on the headrests. The Century was too Japanese to sell in America and F1 could not replace the Century in Japan, so F1 would need to be sold in the U.S. market. Yuki and the American senior management started to study the U.S. market for F1 and became concerned about the difficulty of selling a high-priced, luxury car at Toyota dealerships next to Corollas, Celicas, and Toyota trucks. Word that the Americans were considering an all-new second channel to sell F1 made it back to TMC. There was fierce fighting behind the scenes to stop the proposal in Japan. Flagship 1 was meant to be a Toyota. Yuki made his presentation to the TMC board and offered to resign if the new channel failed. Emotions ran high. Eiji Toyoda had heard of the plan, listened to the discussion, and knew of the hard feelings. He had the family history, the title, and the power to simply say no, but he did not. Instead, Eiji Toyoda died to self and sacrificed part of his dream: “Let the Americans do as they are planning,” he said. A stunned silence hung in the air. The unthinkable was going to happen. Toyota’s Flagship 1—the “finest car ever built”—would not carry the Toyota name. Back in the U.S. the management team that was working on names for F1 had zeroed in on several different options. There were 219 names considered; the five finalists were “Vectre,” “Verone,” “Chaparel,” “Calibre,” and “Alexis.” “Alexis” was the favorite, but at that time there was a television show called Dynasty that had a controversial female character named Alexis Carrington. One of the team members, John French, proposed to make up an all-new name. Drop the a and replace the i with a u. The name “Lexus” was born. The Chairman was always given the honor of naming each new car. He would be given a list of several names from which to choose. Mr. Toyoda preferred names that stated with the letter c…thus Century, Celica, Corolla, Cressida, Camry, etc. Yuki and American staff preferred Lexus because it was a new name and had a contemporary up-scale feel but were worried about the Chairman might select a name starting with C. In a gutsy move, Yuki’s letter to the Chairman Toyoda did not give him a choice but simply informed him the name Lexus had been chosen. Again showing patience and understanding Eiji Toyoda died to self and did not demand his right to name the car but accepted Yuki’s recommendation. But this would not be the end of the tension surrounding the naming of Lexus. In the days to come, the patience and understanding required of Eiji Toyoda to keep the name Lexus would be severely tested and the outcome of the channels name would remain in doubt to the very end. Even when the future is uncertain, God calls us to trust in Him. Learn more about His love for us by ordering the God of Hope book! It had been a pressure-packed couple of weeks. There were pressing problems at work and personal problems at home. This would be our eighth move in 15 years of marriage. It seemed like I was always playing chess with God and losing.